The intelligent investor: The definitive book on value investing is a true classic and showed be in the library of any prospective and established investor. 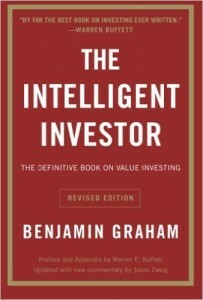 The intelligent investor was first published in 1949 by Benjamin Graham, since then the book has seen four iterations all released by Graham. In the last iteration of the intelligent investor, Graham collaborated with the world’s most successful investor, Warren Buffet. The fourth edition was later updated by Jason Zweig who added commentaries and new footnotes, this new revision was published in 2003. The intelligent investor authenticates value investment as the best type of investment. The book is based on Graham’s philosophy of loss minimization as against the popular maxim of profit maximization – this makes the intelligent investor a book for long-term investors and not trend riders. Chapter 1 – 9 of this book, comprehensively covers the basics of investing, which is beneficial to all teething investors. The first chapters debunk some truisms that come out of Wall Street and are often accepted as true. Also contained in these first nine chapters is a realistic picture of how Wall Street works and the necessary knowledge investors need to have in order to stay head and shoulders above their competition and loss. The remaining part of the book focuses on fundamental analysis, warrants, stock selection, stock vs. bonds, convertible issues, inflation and other essential topics in the investment sector. This book is a must read for anyone hoping to invest wisely in stocks. The best edition of this book is version padded with Zweig’s commentaries and footnotes, the reason for this is that it brings Grahams investment philosophy to modern day application. Ben Graham’s philosophy on value investment was formed during his learning process in the murky stock market of the 1940’s. Graham’s investment style transformed into a systematic and logical approach that has formed the basis of his value investment philosophy. In this book, Graham approaches value investment using three key principles, one is the concept of “Mr. Market,” this principle explains what an ideal value investors response to changing stock value should be. Graham goes on to lay down the characteristics of a value stock, under the selection of a value stock principle. The Margin of Safety as the central concept of value investing is the third major point of the book. This book is clear, concise and justifiably lengthy as it covers areas of investment comprehensively. It is a must read for the beginning investor, who needs to have a clear view of the investing sector through the eyes of a realist and well-experienced investor.